The most Bwaaahsome runner game! 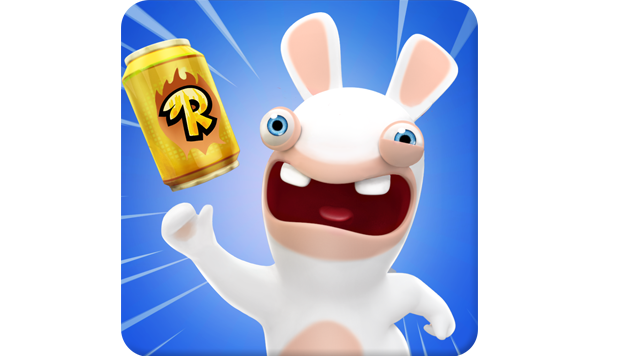 Get silly like never before in the all-new Rabbids runner game, RABBIDS CRAZY RUSH! How will the Rabbids fulfill their borderline-insane idea this time? By collecting pepper cans that will provide the gas to power their moon-bound balloon. It's a crazy idea, but it just might work! With the assistance of myriad powers and abilities, you'll guide your Rabbids around the world in their quest to make their idea come to life. Complete wacky yet fun missions, collect and upgrade dozens of unique suits and vehicles, and be the first among your friends to reach the moon! © 2017 Ubisoft Entertainment. All Rights Reserved. Rabbids Crazy Rush, Ubisoft and the Ubisoft logo are trademarks of Ubisoft Entertainment in the U.S. and/or other countries.